Video – A Whine and a Screech with a Turbine Cessna 206 | Achtung, Skyhawk! Thankfully, this had changed for the better a couple of weeks ago when Lučko became host to a very interesting Cessna Stationair from Germany – a still-rare Turbine 206 :). 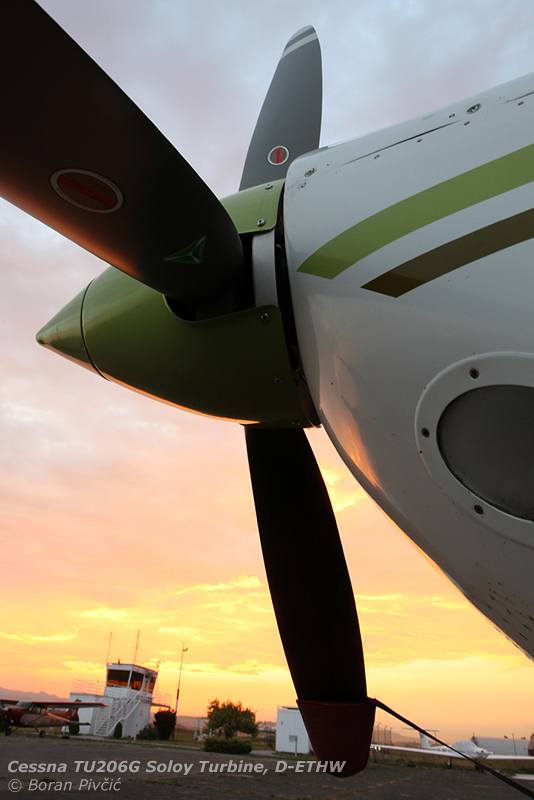 Converted to this configuration by Soloy of the US, the Turbine 206 is essentially an older, paid-off and cheap 206 airframe re-engined with a 450 HP Allison 250-C-series turboprop – the same engine, albeit with a different gearbox, that powers the Bell JetRanger helicopter. 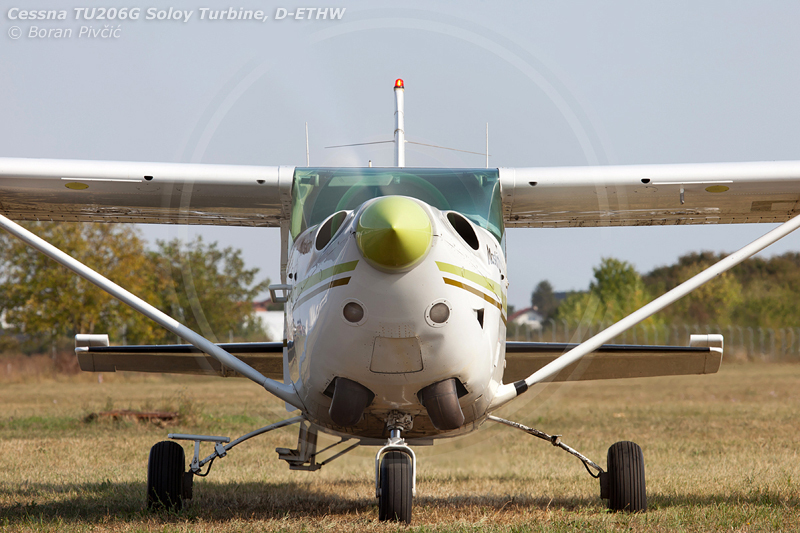 With 50% more horsepower on tap than the standard Stationair – not to mention the huge increase in torque – the Turbine 206 is a stellar climber and had quickly become a favorite of every skydive club… that could afford it :D. The example pictured here, owned by Aeroclub Walldorf and registered D-ETHW, had started life out as a stock U206G, before being converted to the Turbine 206 Mk. I standard (based on the Allison 250-C20S) sometime in the early 2000s. Warming up for the first skydive flight of the day. While its looks are at best questionable, there's no denying its awesome performance: with a full load of skydivers, it had managed to climb to 1500 ft AGL before the second turn of the traffic circuit - and on a 30 Centigrade day at that!